Christmas is celebrated around the world, with the focus of the day on family and for some, the birth of Jesus Christ. 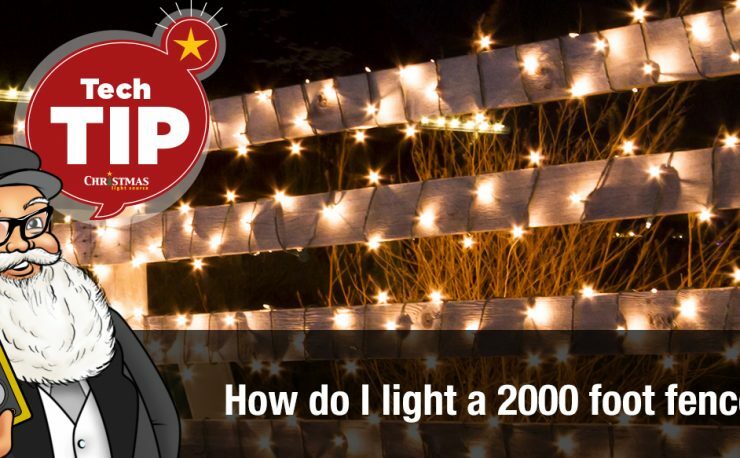 In order to understand the history of Christmas lights, it may be helpful to understand just how Christmas came to be recognized as one of the most popular holidays during the year. Years ago, the middle of winter was a time of great celebration in many countries around the world. The Norse people of Scandinavia celebrated the winter solstice each year beginning on December 21st through the month of January. Winter was a somewhat dismal time of the year, so they celebrated the solstice in anticipation of the sun returning. To honor the holiday, fathers and their sons brought large logs home and then set them on fire, which of course gave off a lot of light! It is said that sometimes it would take nearly 12 days for the logs to burn out. During that time, the Norse people feasted and enjoyed each other’s company. In another part of the world, Romans were celebrating the winter solstice with a feast that honored the children of Rome. It was also at this time the birthday of Mithra, a pagan god, the god of the unconquerable sun, was celebrated. Again, we see the theme of light during the winter months. Some historians say that Martin Luther, a Protestant reformer in the 16th century, was the first person to illuminate an evergreen tree with candles. It is said that he was taking a walk one winter evening and was in awe of the brightly twinkling stars in the sky amidst the evergreen trees. He wanted to share this with his family, so he put an evergreen tree with candles on it in the middle of his home. The Pilgrims who arrived in America in 1620 actually outlawed Christmas during the years 1659 to 1681 as a result of their puritanical beliefs. However, Captain John Smith and the inhabitants of the Jamestown settlement joyfully celebrated the Christmas holiday. It wasn’t until June 26, 1870 that Christmas was officially declared a holiday in America. Within the next 100 years, the American people embraced the Christmas holiday with traditions of gift giving, card sending and tree decorating. Small evergreen trees were once brought into cabins and homes and placed in a central room. Small candles were then attached to the branches with melted wax or pins. Ornaments were then hung near the candles so the candlelight would show the homemade ornaments at night. For years, this was the manner in which Christmas trees were decorated and illuminated. However, the candles melted quickly and had to be replaced often. For some families, this was cost-prohibitive, so once the candles burned out, the tree wasn’t lit again that season. 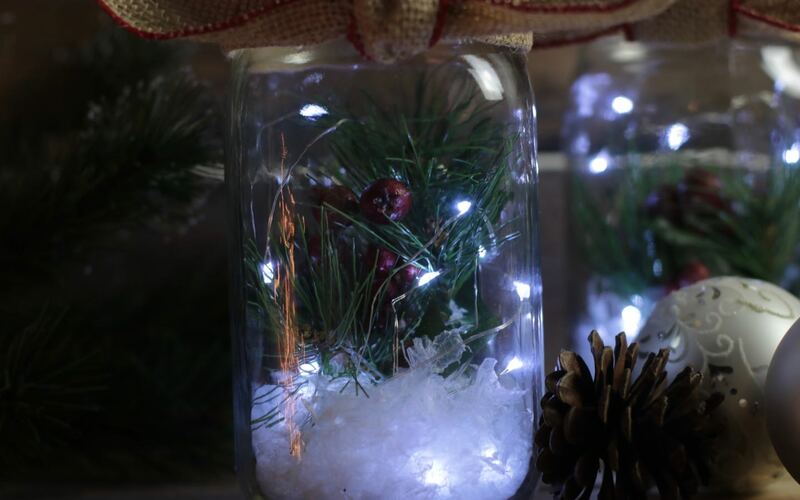 Sometime between the years of 1902 and 1914, glass balls and small lanterns were used to decorate Christmas trees. Electric lamps or incandescent bulbs were then introduced in 1882. A man by the name of Edward Johnson lived in New York and was an inventor of sorts. Incidentally, he was a good friend of Thomas Edison, the man credited with designing the first viable light bulb. In 1882, Mr. Johnson came up with the idea to decorate his Christmas tree with strings of red, white, and blue lights. These were the first incandescent light lamps or bulbs to decorate a Christmas tree. The lights measured 6/8 of an inch in diameter. Mr. Johnson had hand wired each bulb and then wound the incandescent light strings around the tree branches. Everyone who saw the twinkling tree was instantly enamored and by 1890, Mr. Johnson’s Christmas light strands were being mass-produced. The General Electric Company began to sell Christmas tree lights in the year 1903. At that time, the lights were cost prohibitive for the average consumer to purchase, so the light strands were rented out to large department stores during the Christmas season. Who manufactured the lights? You may recognize the name Eveready as it relates to batteries available on the market today. Back then, the company’s full name was American Eveready Company and they are credited with manufacturing the first prewired string lights available to the American consumer. 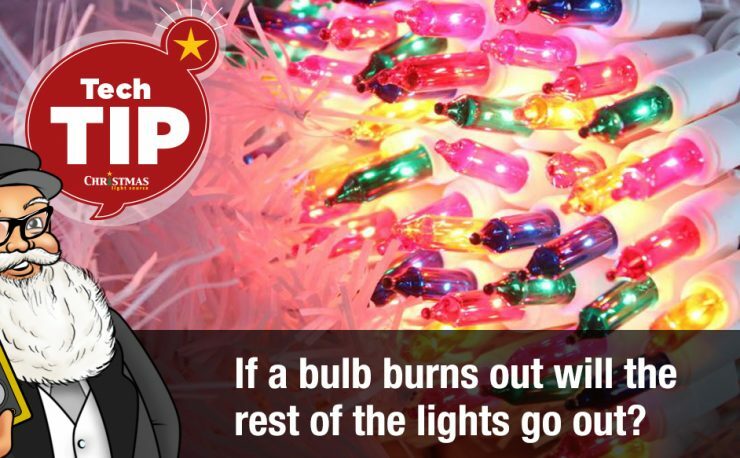 With the introduction of incandescent light bulbs to society, Christmas trees could glow for several days at a time. Personal residences and town squares alike enjoyed seeing the incandescent lights of color on the trees each Christmas season. Today, the Rockefeller Center is a popular site for a holiday tree each year. In the year 1931, an evergreen tree (without decorations) was placed in the center of the construction site by workers. 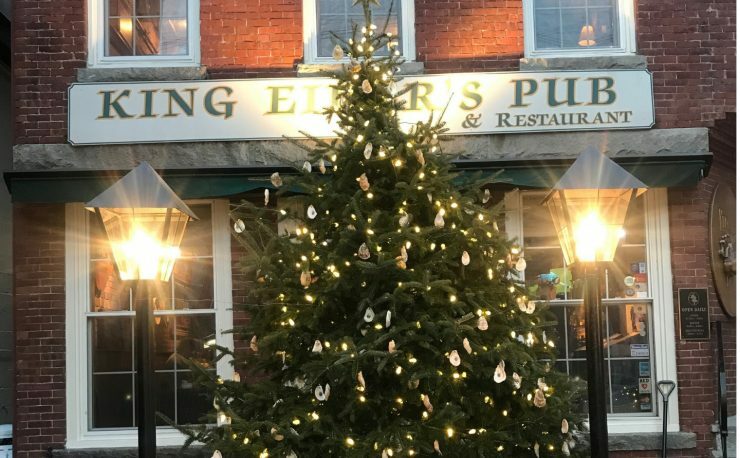 In 1933, another tree was erected in the same spot, but this time with incandescent Christmas lights. Now the mammoth Rockefeller Center tree sparkles and glows with the help of over 25,000 Christmas lights. 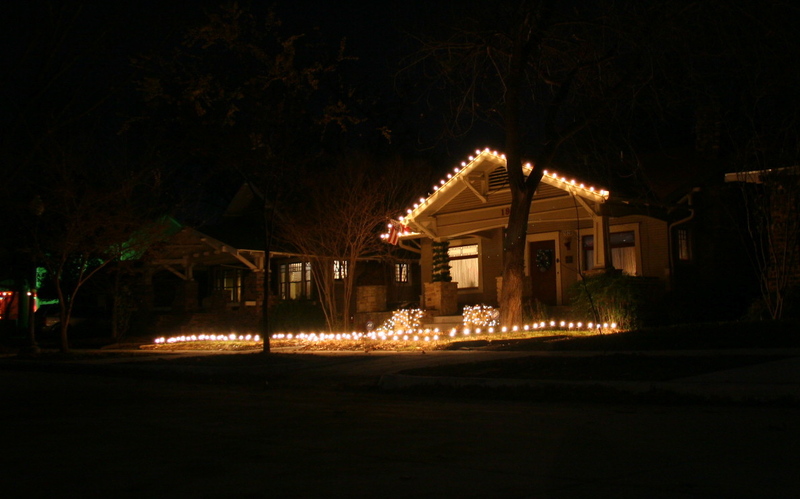 Fast forwarding to present day, the choices of both incandescent and LED Christmas lights are numerous. Christmas lights today offer a variety of shapes, sizes, and colors. Light use can be tailored toward a particular type of project or special event. 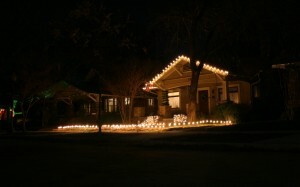 Mini lights are a fantastic way to light up both large areas, such as a garden, or smaller, more intimate celebrations. Incandescent and LED C7 and C9 Christmas lights will light up your home both inside and out with a touch of traditional style. Icicle lights have been a big hit within the last four years or so and can be seen adorning eaves of homes, fence lines, and sidewalks (when supported by light stakes). 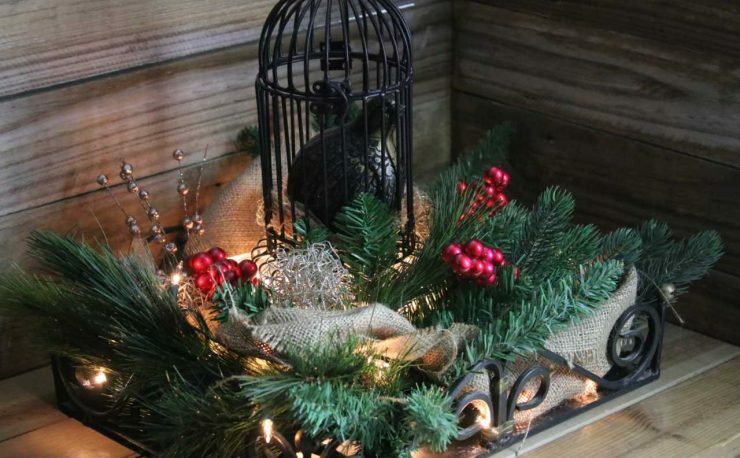 Net lights are perfect for making a fence twinkle during the holidays or for creating a curtain effect inside on walls. The history of Christmas lights is long and replete with tradition. Family members and friends feel welcome in your home. Your children will love to sit under the fireplace mantel and play board games by the soft light provided by the Christmas lights on the tree. 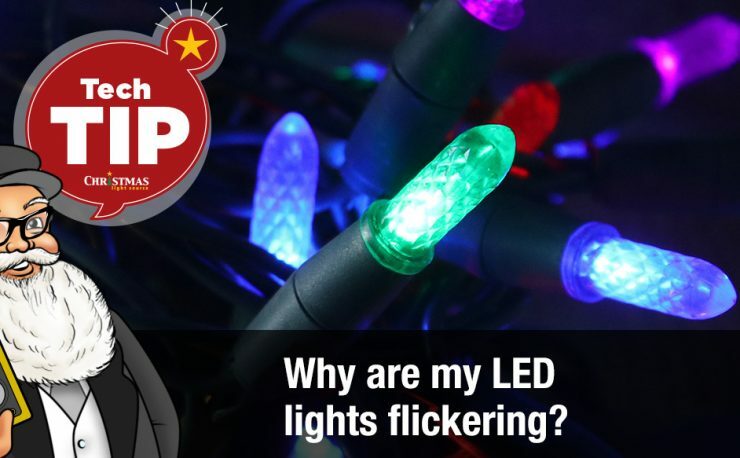 No matter the reason that you use incandescent and LED Christmas lights each holiday season, the effect is sparkling and beautiful. New Year’s Eve: Decorating with Lights!